The Pacific Crest National Scenic Trail (PCT) traces a 2,650-mile route from the California-Mexico border north to the border of Washington and Canada. While many hikers attempt a "thru-hike" every year, beginning in Campo, California and connecting their footsteps all the way to Manning Park, B.C., even more people enjoy "section hiking" - tackling the trail in bits and pieces. This guidebook serves as a road map to section hiking the Southern California portion of the PCT, beginning at its southern terminus in Campo and ending 942.5 miles north at Tuolumne Meadows in Yosemite National Park. 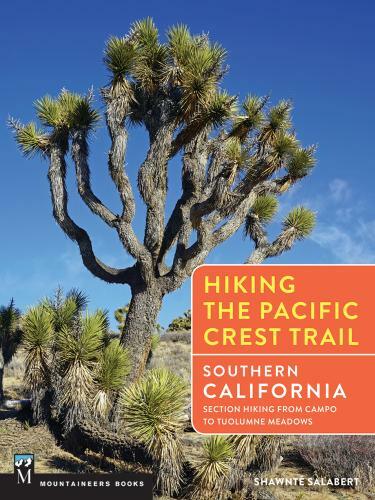 From the magical cactus gardens of the Mojave Desert to the snowy peaks of the High Sierra, this book covers one of the most biologically and geologically diverse portions of the PCT. Author Shawnte Salabert serves as your personal trail guide along the way, offering informative route descriptions, interesting sidebars, and colorful stories that will deepen your experience on this iconic trail, whether you're headed out for a weekend, a week, or a month.